In this post, we are presenting best and beautiful HTML landing page templates for your inspiration. All these templates are really fine, good-looking, minimal and awe. You know well that what is landing page and what it is supposed to do. It helps you to launch your new app or product. Either free landing page or premium templates can be used for this purpose but your idea and purpose of launching product should be clear and vivid so user may know about that without any difficulty. Your landing page should represent the thing you want to let people aware about. Either choose free or premium one, if landing page is responsive landing page template then well and good. It is always better to start the product marketing when you have an idea of it and you are able to complete it without any issues. 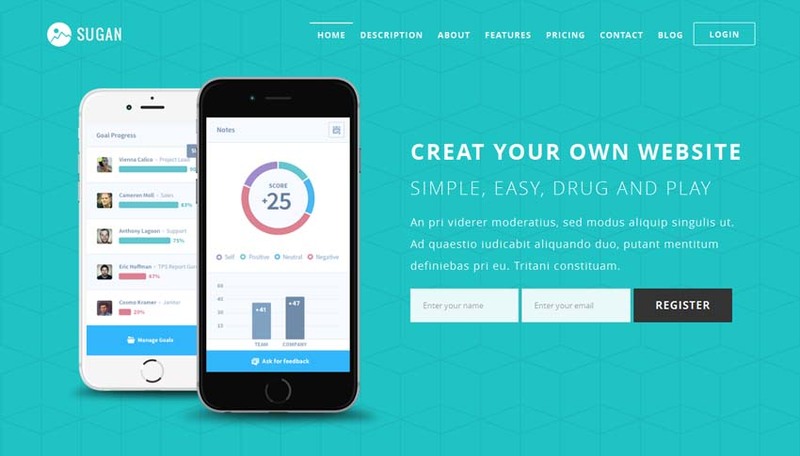 This post contains beautiful HTML landing page templates for you. These templates have many additional features especially responsive layout. I am sure you guys will like to choose one of them for your product. 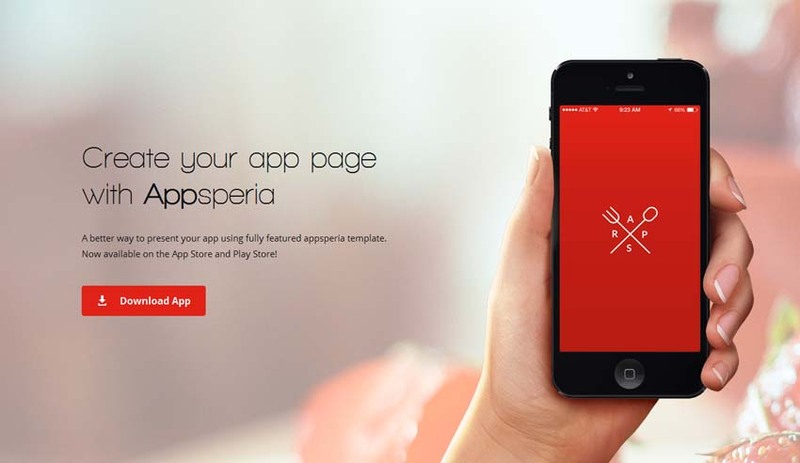 AppSperia is a clean and creative Landing Page Template for Mobile App. This landing page template has different color and demo variations. 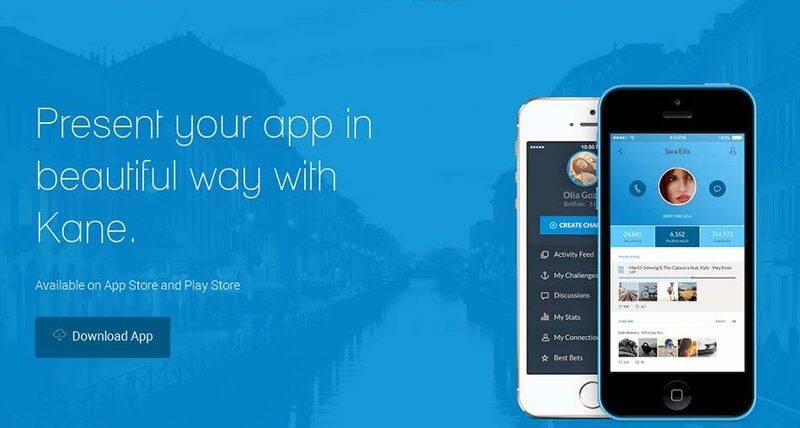 Well organized and very easy to customize, AppSperia is better way to present and promote your startup mobile app website. 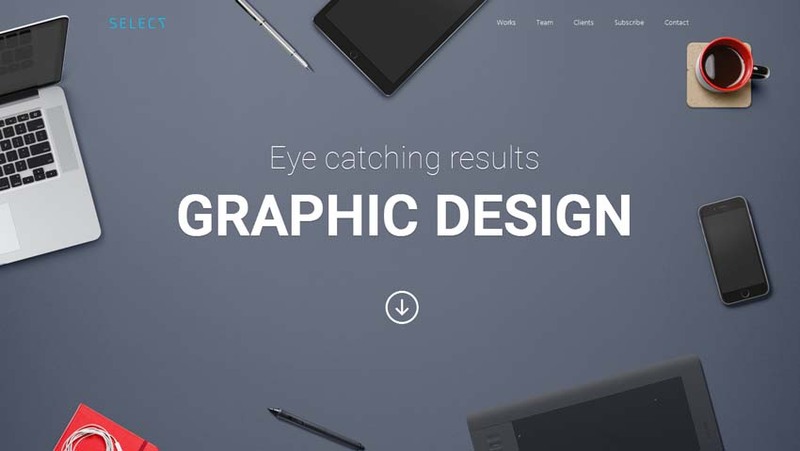 SELECT – a set of 27 multi-purpose landing pages with the page builder. It helps you to create the desired landing page by yourself within just minutes. Its powerful functionality allows you to edit a text, to change colors of elements, modify the parameters of elements, to embed your videos from YouTube and Vimeo, customize images and much much more. A wide variety of sections and their versatility will allow you to achieve the desired result within minutes. 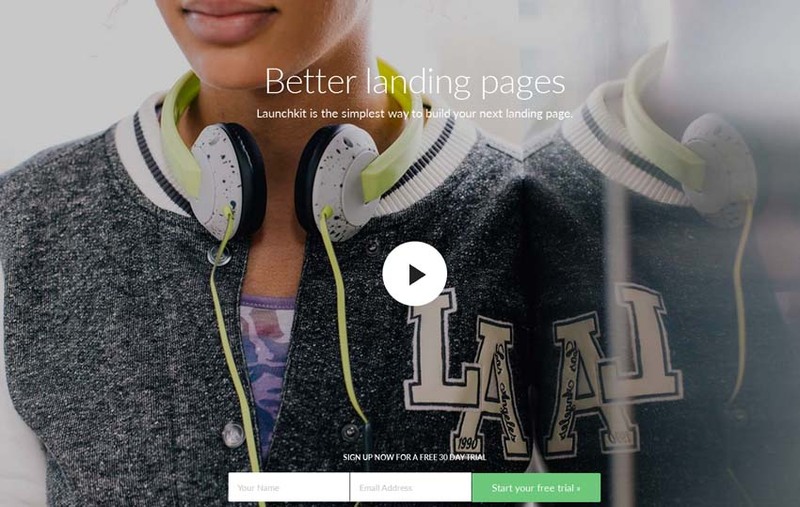 Launchkit is a complete landing page solution with unlimited potential and marketing appeal. Launch your next product or service the right way with our clear, balanced content blocks that create ample opportunity for visitor conversion. Several fully-realized demo pages showcase the versatile beauty of Launchkit, it has never been easier to nail the perfect look for your next landing page. Each meticulously designed block comes in a number of configurations that open up valuable A/B testing opportunities. Use Variant to easily experiment with different header layouts, colours and fonts to best target your potential customers. Signature is clean, modern, unique and responsive HTML Landing Page that will make your event stand out from the crowd with an innovative air. 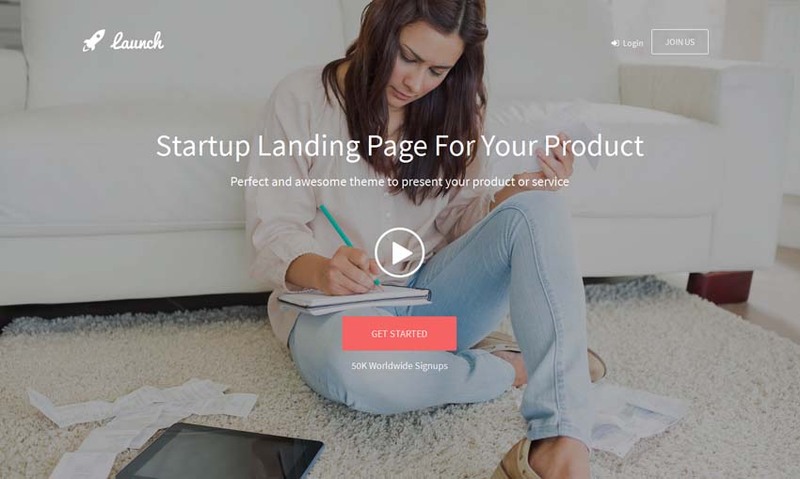 Launch is a landing page designed for startup products or service. 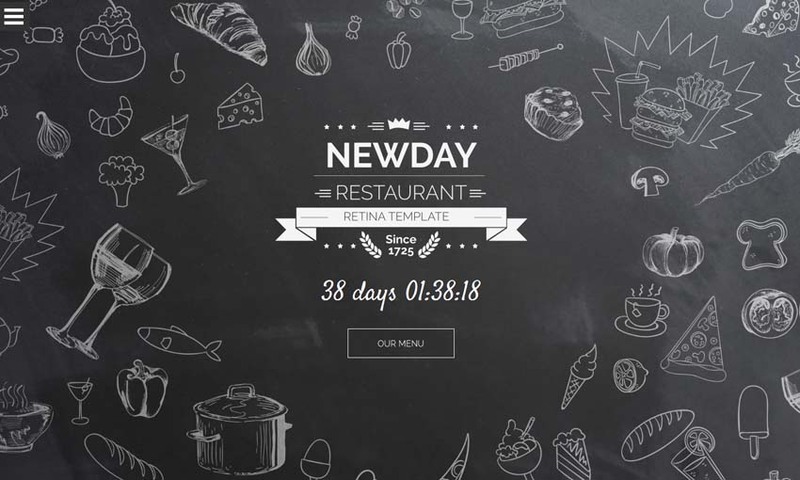 New Day is a responsive One Page Landing HTML Template, developed for cafes, restaurants and food tracks etc. It can be implemented for many other businesses like Corporate, SPA, Clubs, Relax centers, etc. 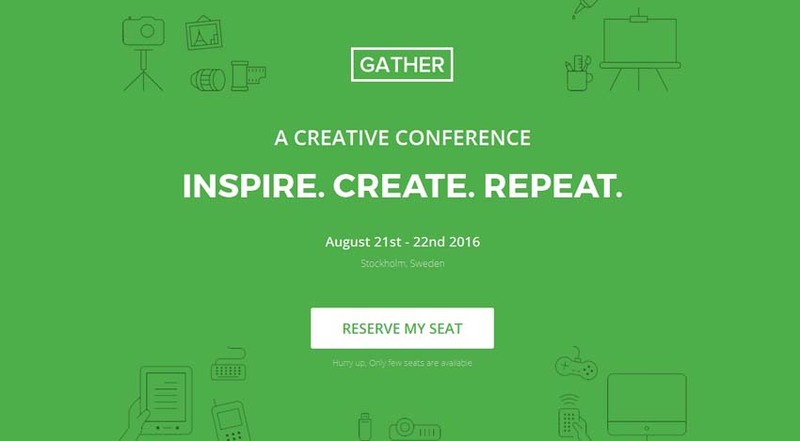 Gather is a Responsive Event, Meet up and Conference HTML5 CSS3 Landing Page Template with Working PayPal Integration, Eventbrite Integration and Mail-chimp Integration. You can make a complete event related website and go live faster. 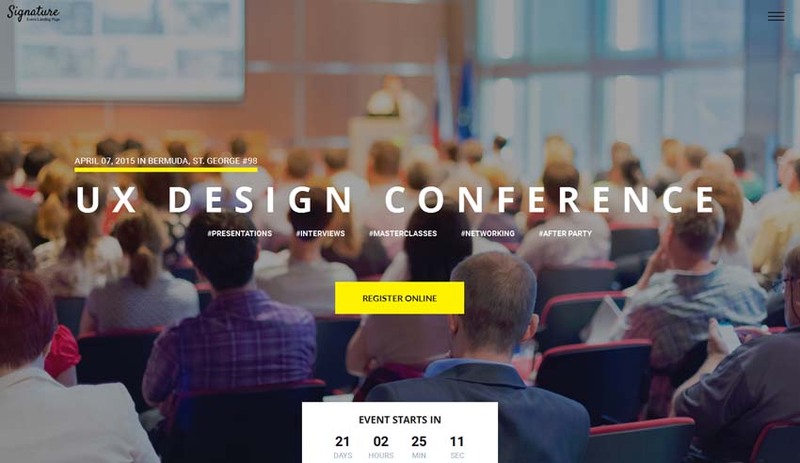 This template includes all features for an Event Website. Its carefully crafted to suit any kind of events. 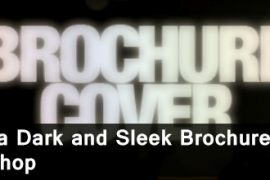 With its Award Winning design and Conversion principles, It becomes the no-brainer template for events. Sugan is modern and responsive landing page for download software website. 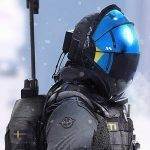 This template is very easy to customize with great code structure and you can build whatever you like with this template. It theme very clean and Professional. Comes with 9 index variant, 3 header background options, 8 color options, YouTube video API, 479 Font Awesome 4.2.0, Line icons, Twitter widget, Theme components and working contact form. 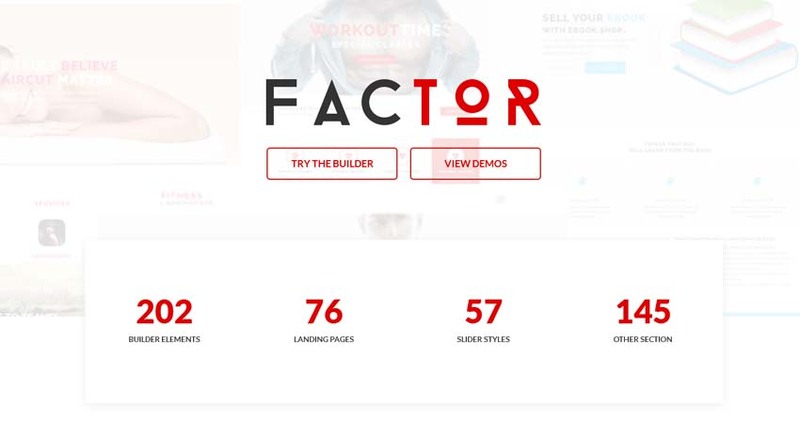 FACTOR – Multipurpose Landing Page Template with Page Builder helps you to create the desired landing page by yourself within few minutes. Factor’s powerful functionality allows you to edit a text, to change colors of elements, modify the parameters of elements, to embed your videos from YouTube and Vimeo, customize images and much more. 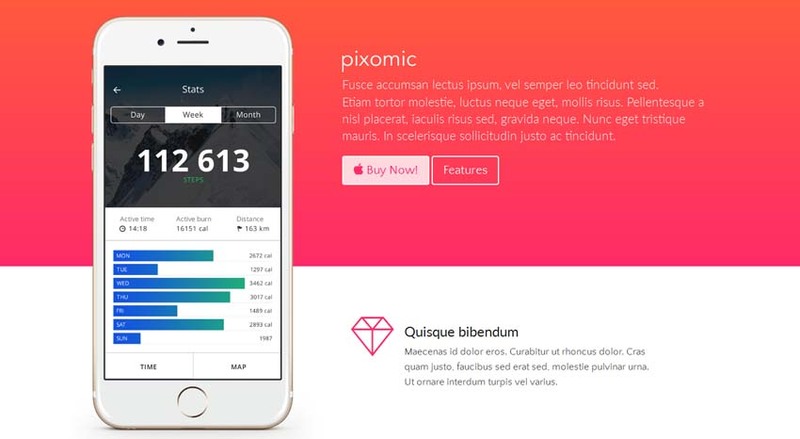 Pixomic is a landing page for applications. Comes with 4 layouts and 6 gradient color alternatives. 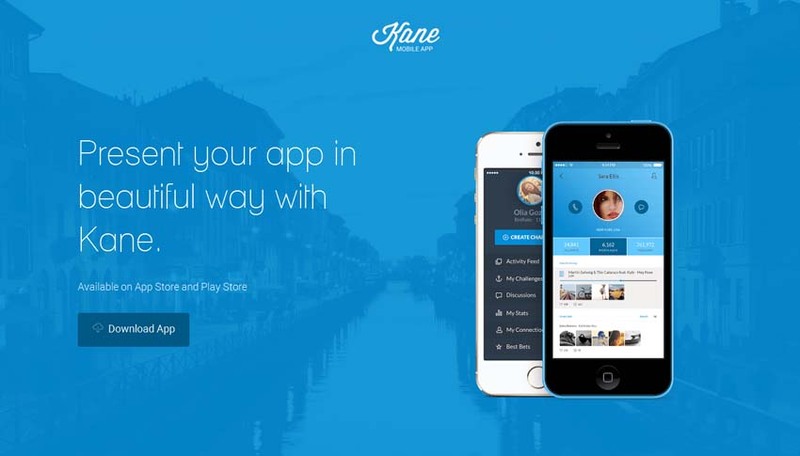 Lane is a responsive Bootstrap landing page, crafted to give the best technical and visual experience. Valid HTML5/CSS3 and is very well commented and documented for easily customization. The sections can be arranged in any order. 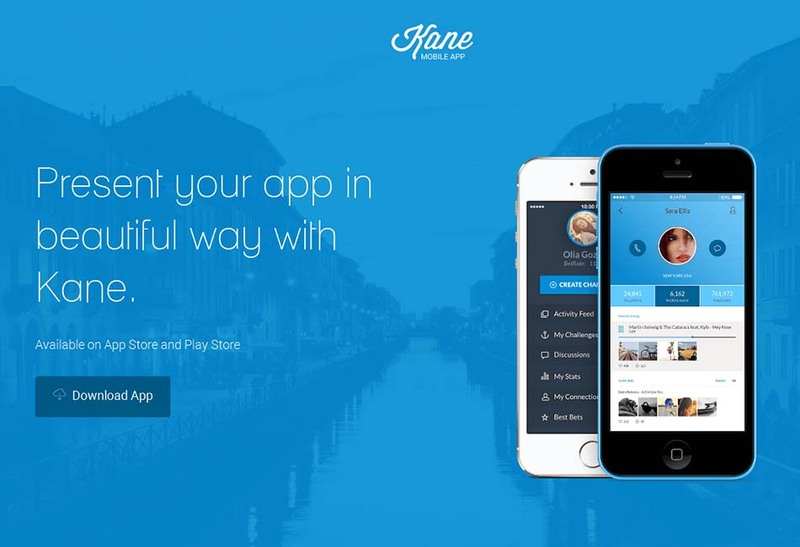 Lane Landing Page is tested in all major browsers and on a lot of devices. 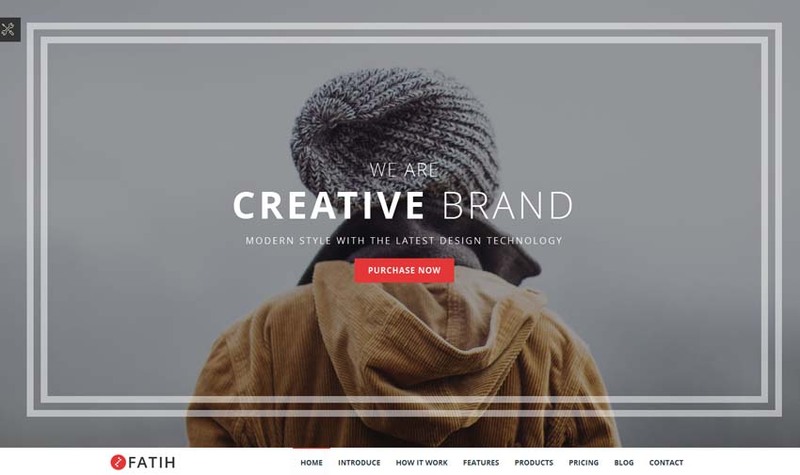 Fatih is creative marketing template with one page scrolling and fully responsive. This template is very simple, minimal design and you can build whatever you like with this template. This theme is built upon bootstrap framework and is fully responsive. It adapts to window resolution and looks good on all devices including iPad and iPhone. Folia – Landing Pages Pack of + 70 multi-purpose modules with the page builder. 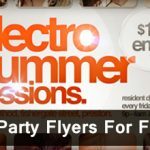 You can create unlimited variations and custom landing pages by yourself within minutes. With The HTML Builder included you make your desired landing page with all the options included that let you edit text and images and everything you wish. 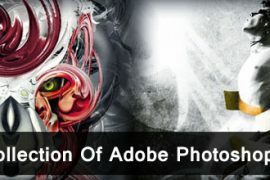 We have included 6 High quality Layered PSD layouts to give you all the assets you will need. 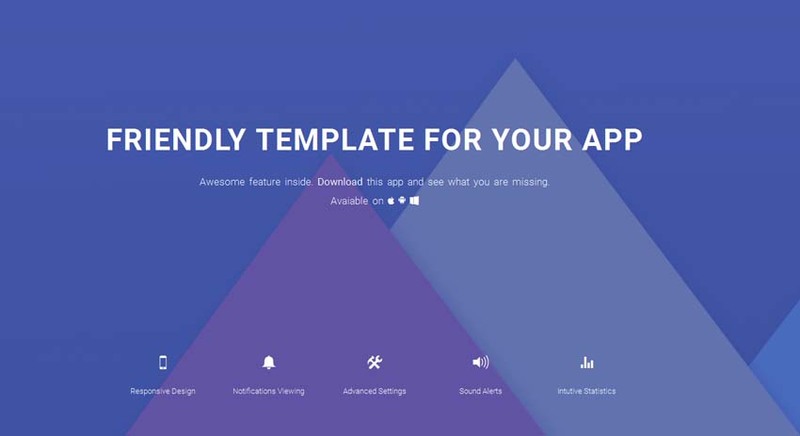 Appmate is a clean and creative Material Design App Landing Template for the app of all platforms. It has a version that display three platforms (Android, iOS and Windows) in a beautiful way. 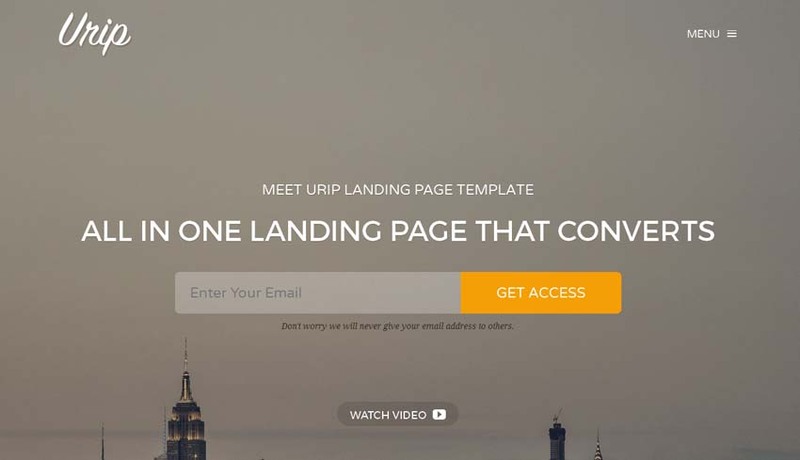 Urip is a landing page HTML template built with Bootstrap version 3.3.2. Urip has modern, clean, and professional design that makes it fit to any purpose of landing page like business, lead generation, and click through, creative, startup, app showcase, promotion, list builder and many more. 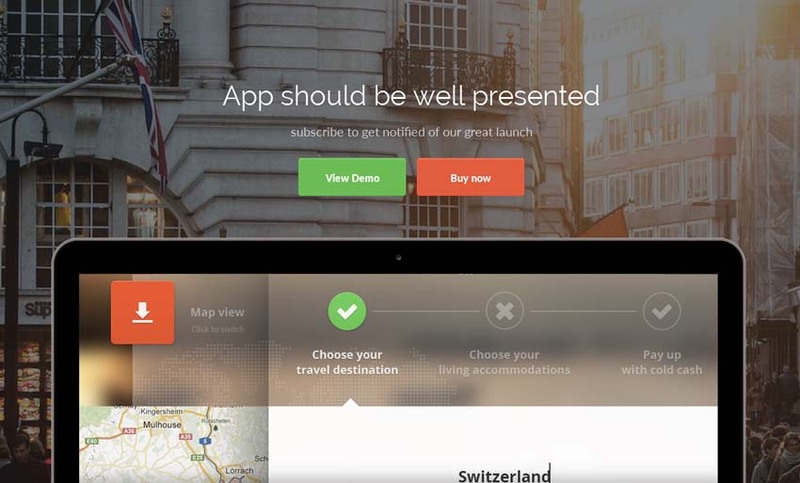 Landing page designed to present your app or service the best way it deserves and convert visitors to users. Increase the ROI of your marketing. 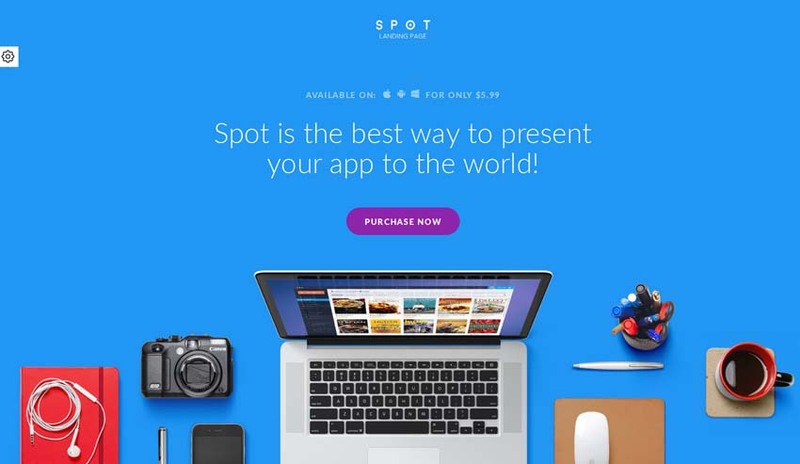 Build your landing page using SPOT. 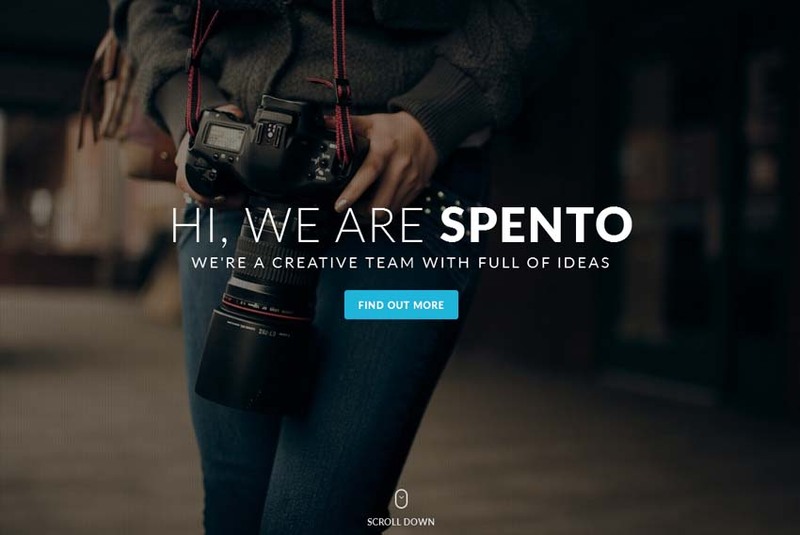 Spento is ultra-modern landing page template, designed for many kind marketing website. Spento is the best web site to promote your business or corporate web site. It has clean structure, professional design and SEO friendly code the template is perfectly adapted to various screen sizes.